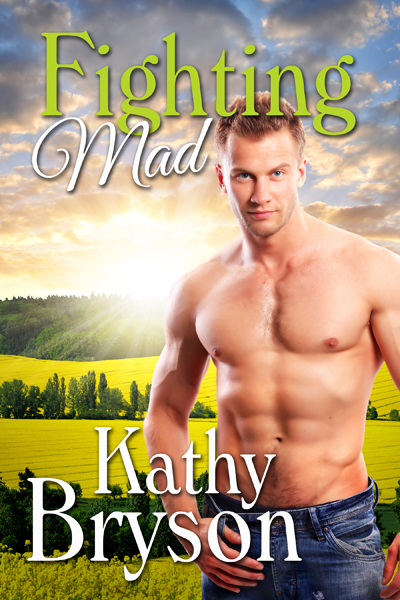 Fighting Mad is the sequel to Restless Spirits which you reviewed in Fall 2014. As you know, leprechauns are real, the hidden power behind the world’s finances, and now headed towards civil war! In Fighting Mad, Carla is laid off from her job at the bank and turns to her friends only to find they’re more concerned about their jobs. The one person she can count on is local bartender Murphy, but what kind of example is that to set for her daughters. Having learned the hard way, Carla’s not depending on any man, even if he is cute, charming, kind, and some kind of leprechaun? I thought this book held much appeal to people because it was very relatable even though it’s paranormal. Everyone at one point can identify with losing their job and wanting to confide in friends who may be going through struggles of their own to listen. Bartenders in bars are well known for being a profession who are therapists in a way so I felt it was very fitting for the situation. Murphy the bartender has his own issues but is captivated by Carla just as she is captivated by him. The paranormal realm was an added bonus and was really different then you’re average read. Leprechauns don’t get very much awareness and I felt the author certainly brought out a welcome change from the normal. This book is for an 18+ audience based on content. I am a reviewer for Paranormal Romance and Authors That Rock and am giving this book 4 Fangs. Posted on January 8, 2016, in Paranormal Romance & Author's That Rock. Bookmark the permalink. Leave a comment.